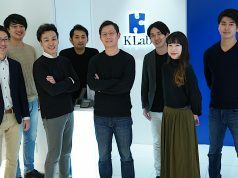 Online education platforms are getting a lot of attention these days, and that includes here in Japan. 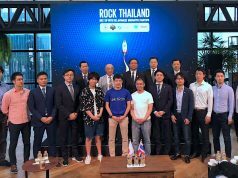 There are platforms like Dot Install or Qiita for programmers, and services like Schoo that use online videos to teach a variety of subjects. But there another online school that has launched in Japan which is a little different from the rest. It’s called Car Design Academy. As the name of the school suggests, this is an online school where students can learn the many methods and techniques for designing cars. In the domestic car industry — and perhaps even outside of Japan too — nurturing the next generation of car designers is a serious challenge. This school was built to address this very problem, and to create new talents with design skills for the car industry. The supervisor and instructor of the class is world famous car designer, Noriyoshi Kurihara. He joined Honda back in 1975 where he began his career designing two-wheel vehicles. He went on to design for Renault, Porche, and many domestic and international manufacturers. He established DCI, his first design company, in 1985, and in 2001, he founded Nori where he designs and works consulting jobs. 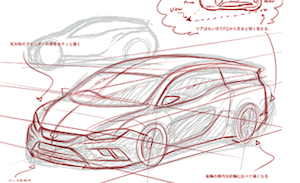 At Car Design Academy, students can learn about sketching techniques and the kind of styling design necessary in designing cars. The class will consist of texts and videos, and there will be assignments given to students in every class. Upon submitting their assignments, students’ work will be evaluated by designers at Nori Inc, including Kurihara. 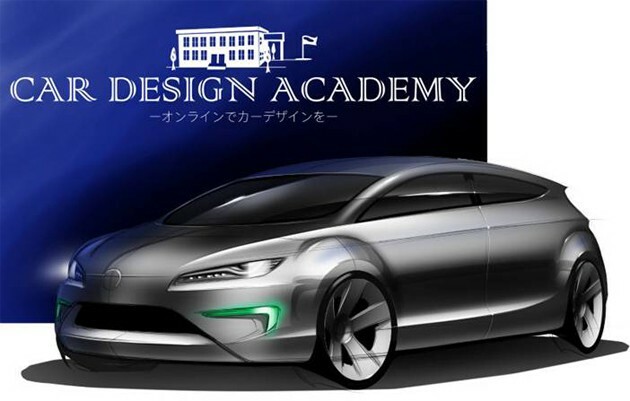 The program at Car Design Academy will consist of a total of 24 classes beginning on August 5th. 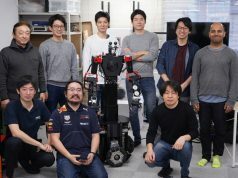 The fee is 250,000 yen (or about $2500), but the first 30 students to sign up receive a discounted price of 198,000 yen. For more information about the world’s first online car design school, you can check out its Facebook page. There are lots of great car design photos shared, so it’s definitely worth a look.